The introduction to the world of the online casino has been one of the recent modern advancements when it comes to online gambling and there are plenty of reasons as to why it’s become such a popular activity. As technology has developed in all industries, people have started digitalising their products and the casino industry is no different. Playing at a casino online is now arguably much more popular than going to a land-based one due to its accessibility and lack of time restrictions. Another reason why the world of online casino has revolutionised the industry is because of the impact that casino bonuses have had. Welcome offers and promotions are now all part and parcel of an online casino experience and they can be used on all types of casino games, whether it’s slots or table games like poker and roulette, the bonuses have helped to entice new participants to play online. We’ve assessed a number of online casino bonuses to help you, the player, decide which are the ones worth joining and signing up to and those which should be avoided. Our review of NextCasino’s welcome bonus is comprehensive and should help you better understand what’s available on the casino site and what you can expect when you register and wager your money. At NextCasino, new players are welcomed with a 100% bonus when they deposit up to £50 on the casino. On top of their deposit bonus, they’ll also receive fifty free spins to bet on NetEnt’s world famous slot game Starburst. The NextCasino welcome bonus works as a deposit bonus offer, meaning that players will receive a bonus as soon as they’ve made a first deposit on the website. However, unlike many other casinos, NextCasino’s deposit limits are quite restrictive, with players having to make a minimum deposit of at least £20 to take advantage of the offer, meaning that the deposit bonus limits are set between £20 and £50. There is no bonus code required when trying to use this casino welcome offer. While new players can look forward to doubling their money and receiving 50 free spins on Starburst, they can also look forward to their second day at the casino, where they’ll be given a 50% reload bonus up to £50. That means that there’s plenty for new players at NextCasino to use and enjoy. Using the reload bonus will put you on course to join the casino’s VIP program which is an excellent way to gain more rewards courtesy of NextCasino. There are seven tiers to this VIP program from new players to prestige members, so there really is something for everyone. As players enjoy the casino games, they’ll earn reward points that can be converted into free bonus cash as they climb the ladder. All they have to do is keep winning on the games, whether its slots or tables to advance to the next stage. The graphic under the VIP program tab in the promotions section clearly illustrates what players need to achieve to advance and the bonus rewards that are on offer under each classification. Each level reveals some fantastic features, including free games, extra deposit bonuses and even upgraded bonuses on all deposits made. As well as the VIP program which remains a constant on the casino, there are also other promotions that existing players can get involved with, including the recent Play’n GO Challenge where the winner would receive a brand-new iPhone X via raffle. Players were required to spin the reels on the slot game Mermaids Diamonds, land 3 chosen symbols on a winning line and win some free spins. Every free spin won would equate to one raffle ticket in the draw, so the more free spins won, the greater the chance of winning the iPhone X. One of the most exciting advancements in the world of online casino is the introduction of mobile gambling. Mobile gaming allows players to enjoy all their favourite games and everything that a casino has to offer, whenever and wherever they want. NextCasino’s mobile casino is highly impressive, which, like the online version uses NetEnt mobile casino software. 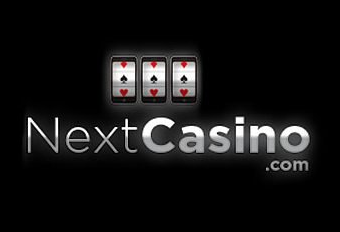 The mobile casino at NextCasino is slick and easy to use. It works on both iPhone and Android devices and requires downloading from app stores. It’s also available on tablet devices and allows players to enjoy all their favourite games, whether its slots, poker, roulette or blackjack, whilst on the move. The introduction of mobile gaming has revolutionised the gambling industry and has made gameplay much more accessible to casino-goers. As with any bonus or promotion, like free spins, jackpots and other cash prizes, it’s incredibly important to know what you’ve signed up for, therefore you should always read the terms and conditions of the offer. Wagering requirements are a key part of any welcome bonus. These are requirements that you must meet in order to unlock the winnings from a bonus. NextCasino’s wagering requirements are set at 35x, meaning that you have to wager your bonus 35 times before being able to make a withdrawal. It’s always important to read the conditions of the bonus, otherwise you could find yourself fulfilling all the other requirements, but lose out because of one tiny piece of small print.